Sorbwater Technology AS has developed its technologies and processes through extensive R&D activities starting back in 2005. Our Slop Water Treatment Technology is developed through numerous lab scale experiments, and later taken to full scale validation in cooperation with Statoil Hydro, and with the support of FMC Corporation and Norwegian Research Council (Innovation Norway). 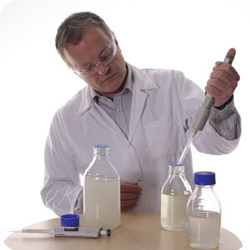 Sorbwater Technology AS co-operates with acknowledged R & D institutions such as SINTEF, and enjoys collaboration with R&D departments of several strategic suppliers and customers. We are continuously developing our Products and Processes through ongoing R&D activities -helping our clients to save treatment costs and groundwater resources, and enabling zero liquid discharge.